by either most common or alphabetical? 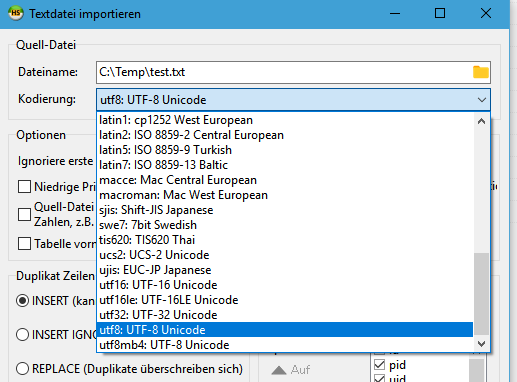 my go-to is UTF-8 Unicode (utf8), which is probably a sane default to have, too. maybe it makes sense to just keep them strictly alphabetical, pre-select the database default, and add something to the settings to override the pre-selected default. having them be in quasi-alphabetical order is still kind of hard to look at, IMO.